A great way of raising money for your charity of choice is to get involved in a sponsored race. Not only are you raising money for charity, but you’ll also improve your fitness and set yourself some personal goals along the way. There are a number of ways to get involved in sponsored runs and sporting events and it’s simply up to you to determine what level you want to get involved in. One of the first decisions you’ll have to make when you decide to do a sponsored run for charity is the level of commitment you can make to it. If you are willing to spend months training and seeking out a large number of sponsors, you may want to think big and consider a Great Run for charity. If you’re happier to devote less time to a run, but still want to give to charity, organising your own smaller local race or fitness run can be more beneficial. Decide early on which you’re going to participate in as this will help you plan not only your sponsorship but also get yourself in training so you can actually finish the race! Another choice you’ll need to make when deciding to take part in a sponsored run is whether you’ll take part solo or be part of a group. 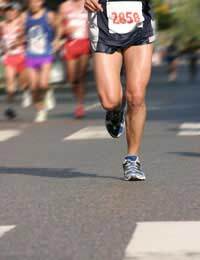 If you’re running in a smaller local race, or even organising it yourself, many people decide to take on the task alone. This can be good as it means you’ll be collecting all the charity money in your own name only. It’s very rewarding to feel that you’re conquering a mammoth task alone all for the benefit of others, so this is ideal for those that want to achieve individual glory. If you’re more of a team player, you can get involved with any number of local charity organisation runs. Many of the bigger charities hold regular sponsored runs and welcome new team members to take part. Some wait until the Great Runs annually and sponsor large teams to finish together or perhaps to take part as a local organisation or social group. Many individuals see charity running as a serious sport, whereas others enjoy it as a more social event. It’s entirely up to the individual how they perceive sporting events such as sponsored races, but ultimately how you look at it can affect it’s outcome. Seeing the event as a chance to improve your fitness may keep you motivated to get to the finish line, but isn’t always the most fun. Many people choose to dress up and run as superheroes or other characters and doing this can have a few benefits. In a regular race, you may attract the attention of extra sponsors or even local radio if you decide to attend dressed up. Even if you don’t, consider speaking to local papers, radio and other organisations about your charity drive. They may give you much needed coverage that will lead to more sponsors and ultimately that is what your charity wants.